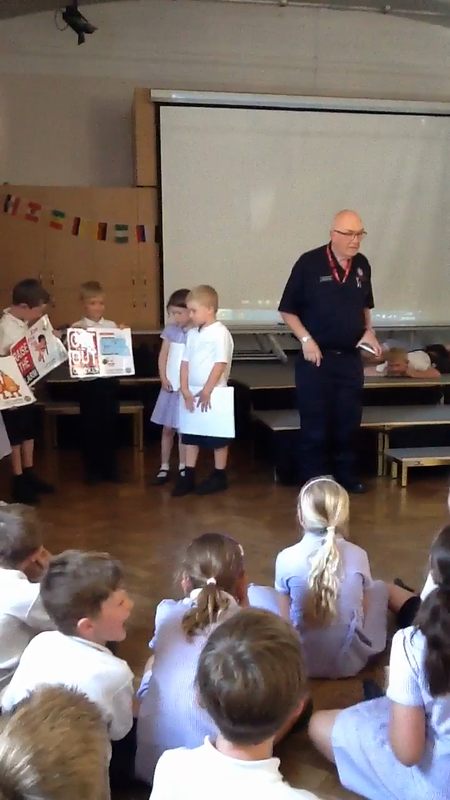 The Lancashire fire service visited us to discuss how we can keep safe when there is a fire. We were told about how to protect ourselves if there was a fire, for example, keeping the doors closed, touching the door handle with the back of your hand, having a smoke alarm and to have a fire plan so you know how to get out of a building safely. We imagined that there was a fire and we re-enacted what we should do!